The Union Ministry of Environment and Forests and Climate Change (MoEFCC) has launched “Wood is Good” campaign under partnership for Land Use Science (Forest-Plus). It was launched on the sidelines of the Sustainable landscapes and forest ecosystems: Theory to Practice” conference in New Delhi. India and Russia will be conducting their first tri-service military exercise INDRA 2017 in October in Russia. It will be India’s first bilateral military exercise with any country involving all three service. India, by connecting Chennai with Vladivostok (a key Russian port) via a sea route, is planning to launch a major connectivity initiative. The aim is to harness natural resources from Northeast Asia and Western Pacific region and will enable to transfer cargo in 24 days compared to the current 40 days. In the survey on Global Human Capital Index by the World Economic Forum, India ranked 103rd among the 130 countries. The GHCI measures the countries’ ability to nurture, develop and deploy talent for economic growth against four key areas of capital development – past investment in formal education, accumulation of skills through work, reskilling and continued upskilling of existing workers and specialised skills-use at work. Norway topped the Index, followed closely by Finland and Switzerland in that order. National Hindi Divas is observed on 14th September to propogate Hindi language and its cultural heritage and values. The Government of India has started Operation Insaniyat to provide assistance to Bangladesh in response to the humanitarian crisis being faced by it due to the influx of Rohingya refugees from Myanmar. 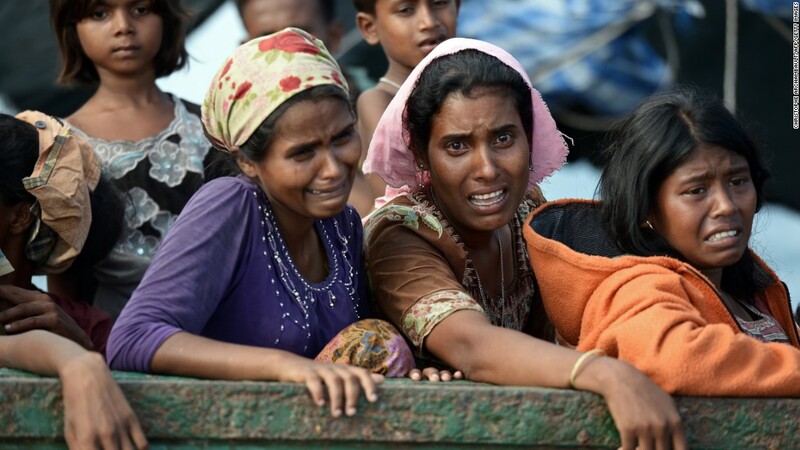 Rohingya is a stateless ethnic minority, mostly Muslims from Rakhine province of Myanmar, who are forced to leave their country due to the communal violence and repeated military operations. The ASEAN Computer Emergency Response Team Incident Drill (ACID) was held in Hanoi, Danang and Ho Chi Minh City in Vietnam. ACID’s objective is to test and enhance incident response as well as broader cooperation and coordination among ASEAN CERTS as well as some of their key dialogue partners. The foundation stone of India’s first high-speed rail project (bullet train) was jointly laid by Prime Minister Narendra Modi and Prime Minister of Japan Shinzo Abe at the Sabarmati Station ground in Ahmedabad. The 508 km-long Mumbai to Ahmedabad High Speed Rail (MAHSR) Project will be built at a cost of Rs. 1.10 lakh crore and is expected to be completed by 2022. The train will cover the distance between Sabarmati in Gujarat to Bandra in Mumbai, Maharashtra in 2.58 hours (which is currently covered in 7 to 8 hours) at a high speed of 320 km/hour. UN Secretary General Antonio Guterres has appointed Peter Thompson, former President of the UN General Assembly as the first Special Envoy for the Oceans.